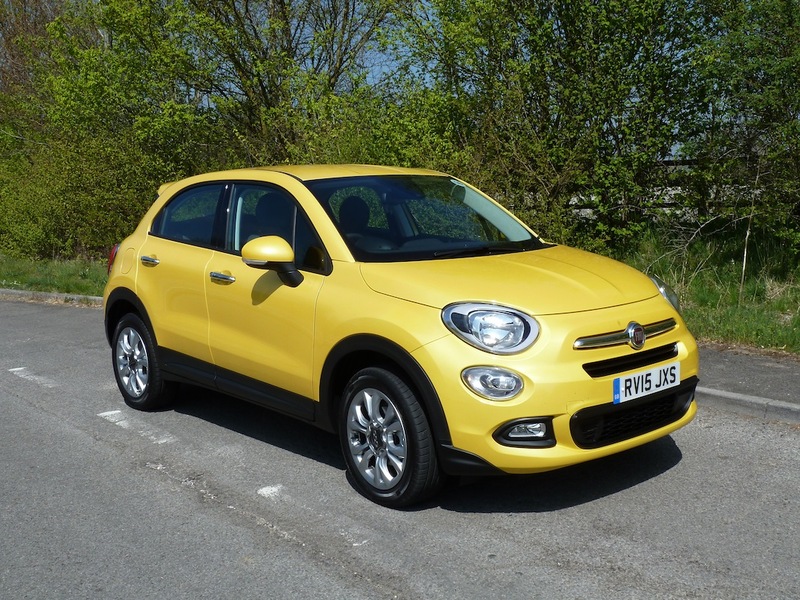 Through automotive history Fiat has rightly been highly praised for its expertise and flair in producing highly effective ‘compact’ vehicles, and the huge popularity of the ‘new’ 500 (in fact introduced eight years ago now) is testament to this. To give some idea of the public’s love for this car, U.K. sales in 2008 were 15,148, rising to 44,005 in 2014. In the first quarter of 2015, sales amounted to 22,000 vehicles. Incidentally, did you know that the Fiat 500 and recent versions of the Ford Ka share the same chassis and engine technology? 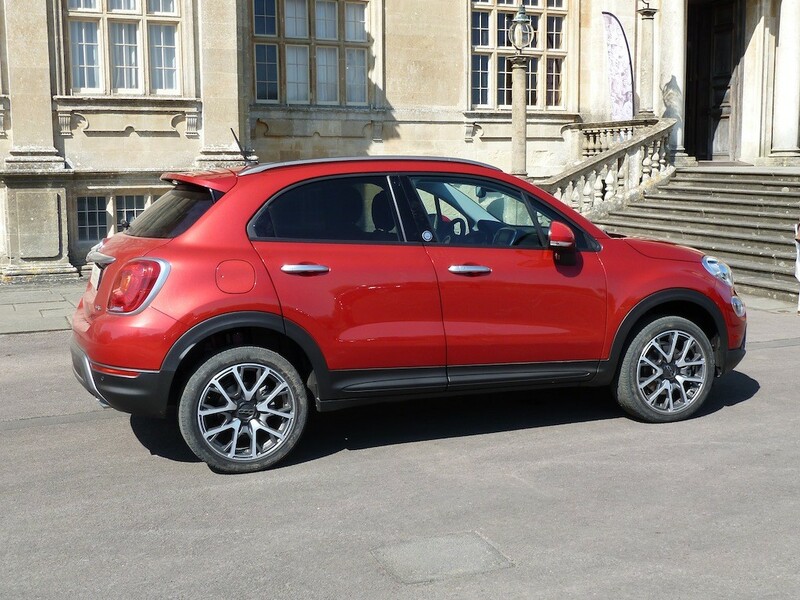 The latest incarnation of the 500 is the 500X, termed by the company as ‘The Italian Crossover’. Designed in Italy by the same people responsible for the 500 of 2007, and built at Fiat’s Melfi (Potenza) plant, the new five door model is intended to be a ‘soft roader’. That is to say, some versions feature an intelligent, automatically-activated four wheel drive system, to help the driver when ground conditions are challenging, but in normal road use runs in two wheel drive mode, for optimum fuel consumption/emissions performance. The newcomers also feature independent, MacPherson strut type rear suspension. ‘City Look’ versions are available in front wheel drive ‘Pop’, ‘Pop Star’ and ‘Lounge’ variants, with ‘Off Road Look’ models identified by either ‘Cross’ or ‘Cross Plus’ designations; both the latter are available in front wheel drive form, combined with Fiat’s ‘Traction+’ system, or with four wheel drive. An interesting and useful aspect of the four wheel drive system is that, in situations when all wheel drive is not required, the driveshaft to the rear wheels can be disconnected by the driver, thereby saving fuel. By contrast, the two wheel drive ‘Traction+’ system incorporates an electronic traction control set-up, applying the braking system as needed to vary torque distribution between the two front driving wheels, thereby aiding the successful negotiation of low-grip surfaces (such as mud, snow, etc.). In the Cross and Cross Plus models, the rotary ‘Drive Mood Selector’ control can be set by the driver to choose between ‘Auto’, ‘Sport’ and ‘Traction’ modes, according to conditions. In the ‘Pop Star’ and ‘Lounge’ variants, the ‘Drive Mood Selector’ can be used to apply an ‘Auto’, ‘Sport’ or ‘All Weather’ setting. The ‘Cross’ and ‘Cross Plus’ models are identifiable by their special ‘off road design’ aluminium alloy road wheels, and their ‘off road’ bumpers with protective shields (plus satin chrome finish exterior detailing, including standard-fit roof rails). Their bumpers are specifically designed to cater for steep approach and departure angles, when the going gets tough. 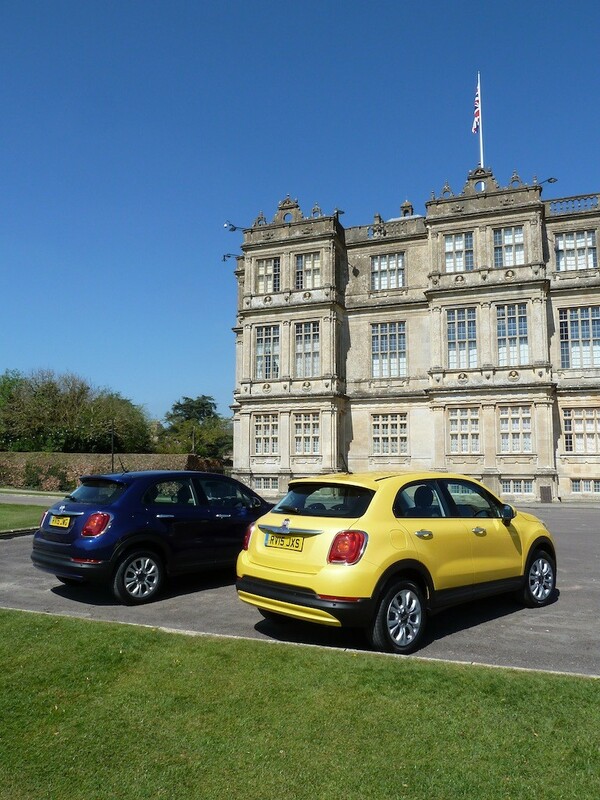 In total, there are over 20 different versions of the 500X from which to choose. Buyers have a choice between a 110 bhp, 1.6 litre E-torq petrol engine, a 140 bhp 1.4 litre Multiair II petrol motor and two (second generation) Multijet diesel power units (120 bhp 1.6 litre, or 140 bhp, 2.0 litre). All except the 1.6 litre E-torq engine come with Fiat’s fuel and emissions-saving ‘Start and Stop’ system. The company predicts that the approximate split between petrol and diesel engines models sold will be close to 50:50. Transmission types include a dual clutch six speed manual gearbox or a nine speed automatic (in this case, together with the 140 bhp 2.0 litre Multijet diesel engine, plus four wheel drive), said to feature smoother ratio changes and improved fuel consumption, when compared with conventional automatics. Standard-fit safety systems abound (and there’s a wealth of options), and the 500X models are well-equipped in other areas too, including ‘infotainment’. 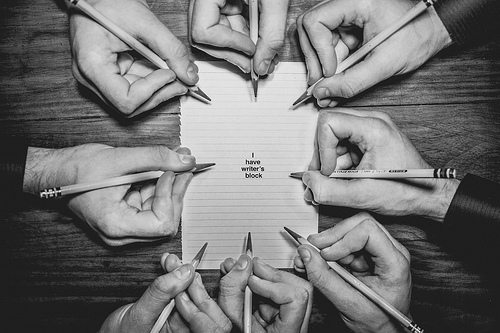 The car is always capable of being connected with social media through the variety of Uconnect LIVE systems (which, in order to operate, require a data-enabled smartphone). There’s a wealth of options available to spice up the already comprehensive line-up of standard specifications. 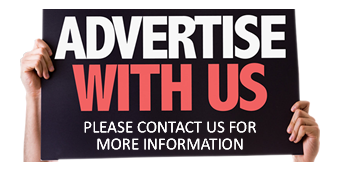 Prices range from £14,999 to around £24,000. I first sampled the 120 bhp 1.6 litre 16 valve Multijet II diesel-powered Pop Star version of the 500X. This Fiat felt solidly built, and over a long, predominantly countryside-based route in Wiltshire, including fast main roads and twisty lanes, I liked the way that it delivered its power smoothly and quietly. I was also impressed by prodigious amounts of torque produced, including from low engine speeds. At higher road speeds the test car cruised well, with 2,000 rpm indicated on the tachometer at an indicated 70 mph while driving in the manual transmission’s 6th (top) gear. The car’s interior was smart and welcoming, and the seats were accommodating. I found the ride quality fairly firm but not uncomfortable. The vehicle’s dynamic behaviour was predictable and enjoyable in terms of steering and suspension response; braking felt effective and safe too. 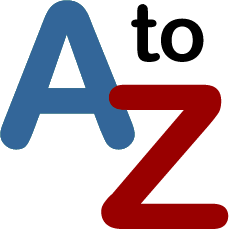 The luggage compartment is usefully shaped; it’s wide, long and deep, and the tailgate opens from bumper level, aiding loading/unloading. Beneath the lifting floor panel within the boot on the test car was a space saver type spare wheel. The official ‘Combined’ fuel consumption figure is 68.9 miles per gallon, although during my test run the on-board computer showed an average of 47 mpg. 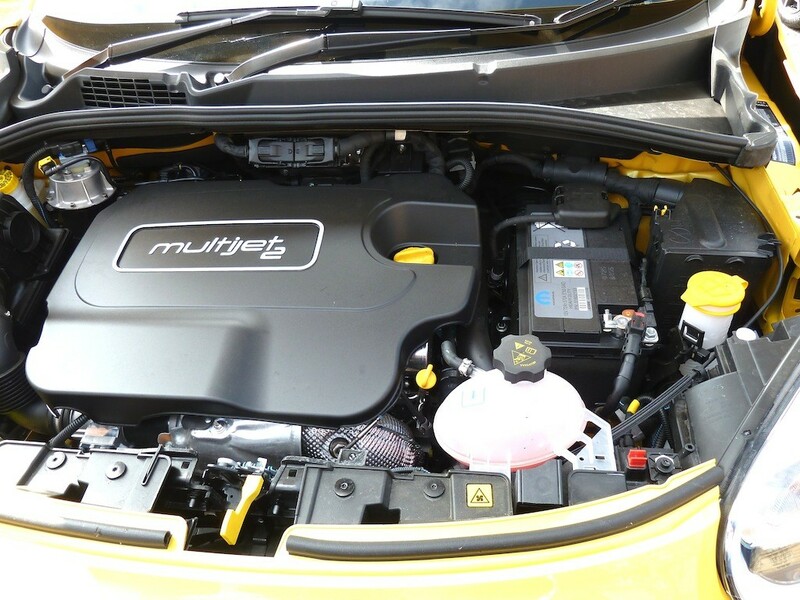 Fiat’s impressive Multijet II engine. 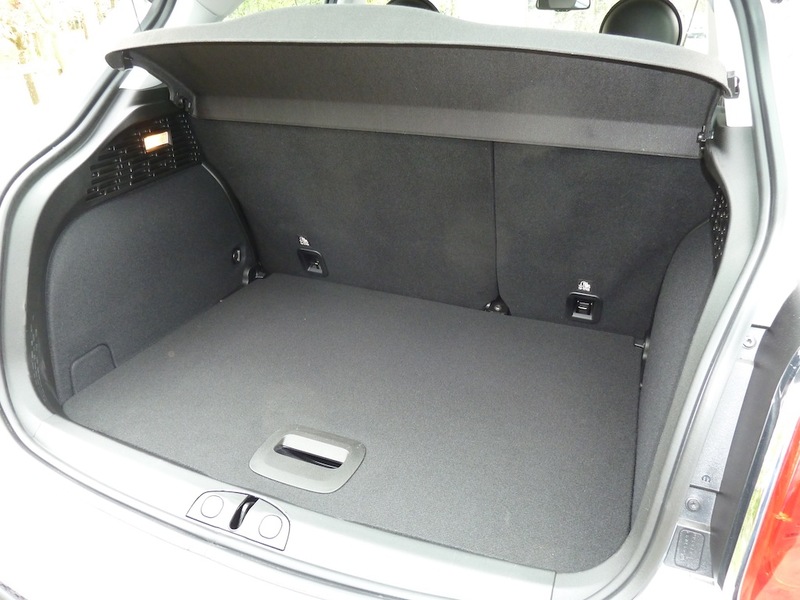 Highly practical luggage compartment (with two-thirds:one-third folding rear seat). 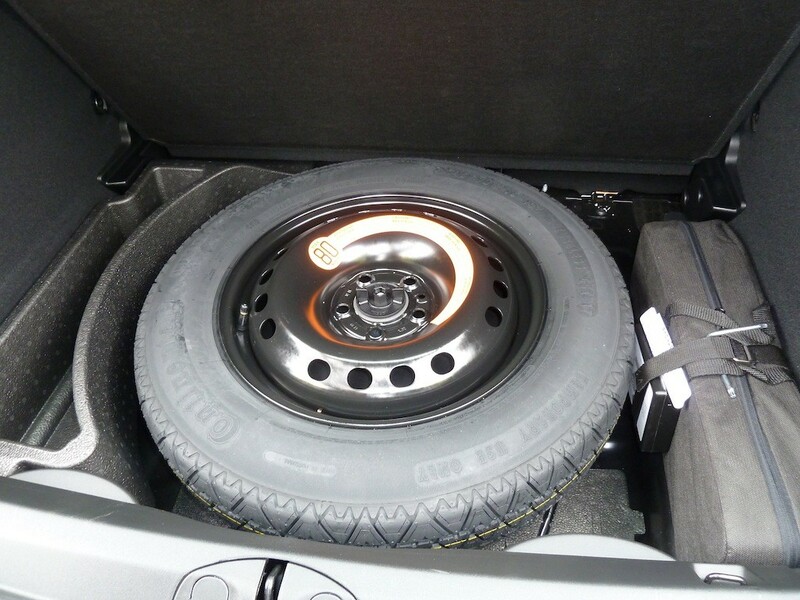 Space saving type spare wheel on our test car. I also, very briefly, tried a 140 bhp 1.4 litre Multiair petrol powered example, which was also fun to drive and was a smooth, refined performer; at 60 mph in 6th gear the engine was turning at 2,000 rpm. Last, but not least, I test-drove a 140 bhp 2.0 litre Multijet diesel variant on a short ‘off road’ course, where it was able to provide a taste of its impressive credentials for easily tackling such surfaces as mud, wet grass, etc. 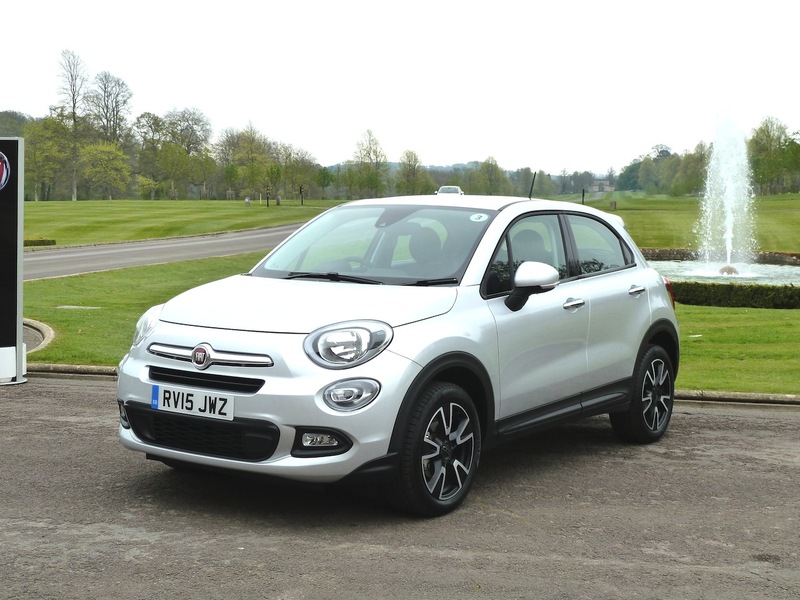 The 500X is a likeable and effective ‘crossover’ vehicle that will appeal to those who already like the 500 but need a little more space and practicality. Overall figure during test run: 47.0 mpg.